One must always be prepared for a power outage if you live in an area that’s temperature gets cold or cool in the winter. When using alternative power or heat, one must use caution and be aware of potential safety hazards. Give your hedgehog extra sleeping bags, or extra pieces of fleece to make their sleeping area cozier. 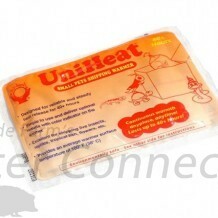 These sources of instant heat hand warmers can be found in the hunting, camping, or sporting goods section of most stores. We have also seen them used for reptiles and other baby animals, so you may find them through various other sources as well. Also make sure you keep several on hand in case you have purchased an older or defective warmer. Generators are valuable to not only your pets, but can be quite handy for you. There is a huge price range depending on how much power they can supply. These types of heat sources are the most dangerous, but they are also the most effective for heating larger areas for longer periods of time if a generator is not available. Your prickly friend may be harder to cuddle under the covers with than your family dog, but it certainly is possible. Remember that your hedgehog still needs to breathe, so a loose fit allows the most warm air circulation. Make sure the bottle does not leak; a cold and wet hedgehog will not be a wise idea during a power outage. One option is to put the bottle in a Ziploc bag and wrap with a soft, hedgie safe (no loose strings), material. This can help protect against accidental leaks. You will need to check your water bottle frequently to make sure it is still giving out adequate warmth. If you only have electric heat (and an electric stove), this option won’t work for you since you have no way of heating the water! Keep that in mind before deciding on this as your back up heat source.